2019 started with Apple’s iTunes store totalling an app count of approximately 2.2 million. The Android play store accounted for around 2.8 million apps on its platform. Both Apple and Android are expected to double, if not quadruple their app counts in the next two years. With one quick glance that the current statistics of these two app stores one identifies that together, both platforms are holding on to apps with a combined valuation in millions of dollars. This indicates the pace at which the mobile app economy is growing and expanding. With the demand quotient at an all time high for mobile apps, app developers are now more open to trying out new concepts in mobile apps, with innovative features which will eventually offer the brand tangible value, make it popular and help in generating revenue. 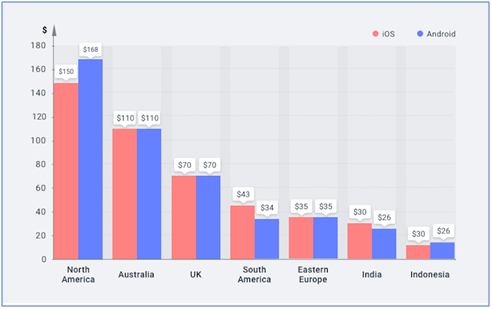 This brings us directly to the question of how the demand for mobile apps is impacting its cost of design, development and deployment. 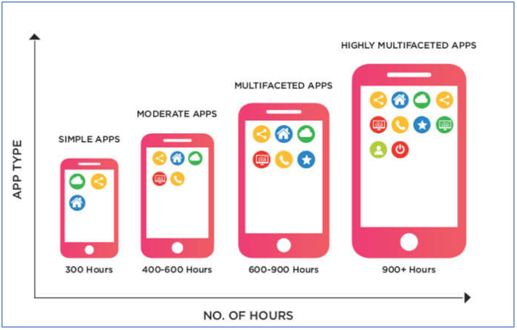 Apart from the number of hours, the location of where the app is being designed and developed also plays a critical role in determining its cost. The next factor that can also influence the cost of the mobile app is – ‘the who’ – which basically is dependent of the size of the firm that is developing the app. Before your app development team embarks on the Visual Design stage, the initial foundation that lays the ground work is basing the app having thoroughly researched the marked with multiple brainstorming sessions. As the teams developing the app move towards the Visual Design stage, only 32% tend to spend less than $5000. However, around 9% may venture to assign a budget of over $50,000 on the app’s visual design. The majority at 60% vacillate between $5000 and $50,000 budget. The Visual design of the App is divided in two key phases: User-Experience Design and User-Interface Design. Information Architecture is a process that assists in the decision to select the type of data and functionality that will be represented and organised within the mobile application – in layman’s terms – a list of features that the app needs to perform along with what will be visually displayed on the screen. This is the foundation of the app upon which the wireframes will be based upon. Wireframes is typically designing the screens along with the assigning of functionality and data. Workflows are about designing the routes through which the users are able to navigate on the app. User-Interface design or UI involves the graphical and touch sensitive display on a mobile device. Style Guides that are the building blocks of the overall app design, impacting its usability. Rendered designs is basically the process of adapting the wireframes and substituting the greyscale components with the chosen components of the style guide. 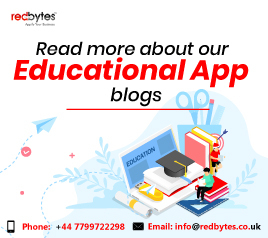 Post the design phase, most apps at this stage will undergo some form of testing before being handed off to the development team for further enhancements and realising the overall vision of the app. Alpha phase is the stage where the core functionality of the app is present; but it is yet to undergo testing. Generally, the app at this phase has multiple bugs and the non-core functionalities of the app are absent. Beta phase is the stage where the majority of proposed functionalities and features have been integrated into the app. Some light testing and bug fixing are usually performed. However, issues may still exist. The app, at this phase may be released to a select group of external uses for more intensive testing. Post Beta phase is the stage where although the bugs have been fixed, the app is ready to be shifted to the release candidate stage. The team, in order to release the app should have set up developer accounts on app stores where the app in intended for publication. It is important that you take into consideration several key factors including multi-tasking, form factor, device and OS fragmentation. Incorporating functionalities and features is going to be pointless unless you ascertain that the app is indeed compatible with the majority of smart phones. 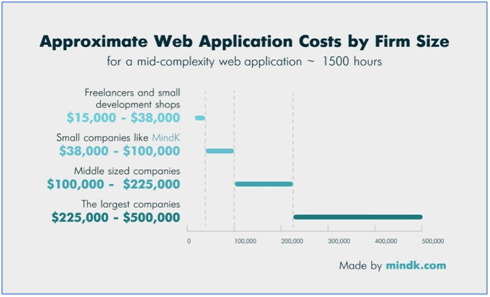 Since the development stage is a critical aspect of the entire app development procedure, it is important to know what you may encounter in terms of cost at this phase. Before launching the app, there are two stages – testing followed by deployment. App Testing often is a good idea while going through multiple processes of developing the mobile app. Adhering to this form of checking aims to keep the cost under control as bug fixing can be an expensive affair as your app goes deeper into the app development cycle. Always refer to the original design and development plan whilst structuring the test cases. Re-test even cleared features and functionalities prior to the launch. Deployment of the app may be done by selecting a day to formally launch the app by publishing it on the various app stores. Do bear in mind that the app stores will abide by their individual policies for launching the app. By publishing the app does in no way signify that the journey of app development has ended. In fact, this is the start of the post launch phase where the app will require continuous support and maintenance once it is in the hands of the end users. With feedback pouring in, you may require new features and functionalities to be developed, bug fixing on a regular basis, etc. To ensure that the future versions of your app is catering to the demands of your target audience, have adequate resources ready to maintain the product. The most important thing to remember when building the mobile app that whilst you may have invested funds in a digital product, the commitment towards it has to be long-term.